In Lucy Kalian’s solo show Witnesses, the majestic graphite trees overwhelm with their towering sizes and ethereal beauty. But just around the corner in the Back Bay Room, the walls are full of darling little acorns with whimsical personalities. Though smaller in size than the woodland figures in the Upper Gallery, these sweet acorns add charm to the contemplative exhibition. Each acorn in the Back Bay Room shows a distinct acorn found in nature. Kalian brings their quirks and personality traits to life, which are clearly expressed in each piece’s title. For instance, her acorns “Fascinator,” “Acorn Smurf,” and “Bathing Cap Blues” emphasize the many different “hats” that the acorns wear, such as the fancy British “fascinator” hats and the floppy caps worn by smurfs. With Saving Your Seat, one acorn uses a cap to “save a seat” for another acorn, creating a sweet story about two acorn spending time together. The two acorns “Philosopher” and “Upstanding” take on dignified personalities by means of their elongated statures. Their long stems allow them to exude poise and authority, much like the many trees in Witnesses. And Misfit stands out amongst the other acorns—it is placed on its side, and shown in a closer perspective in order to display the fine details in its grains and dimples. 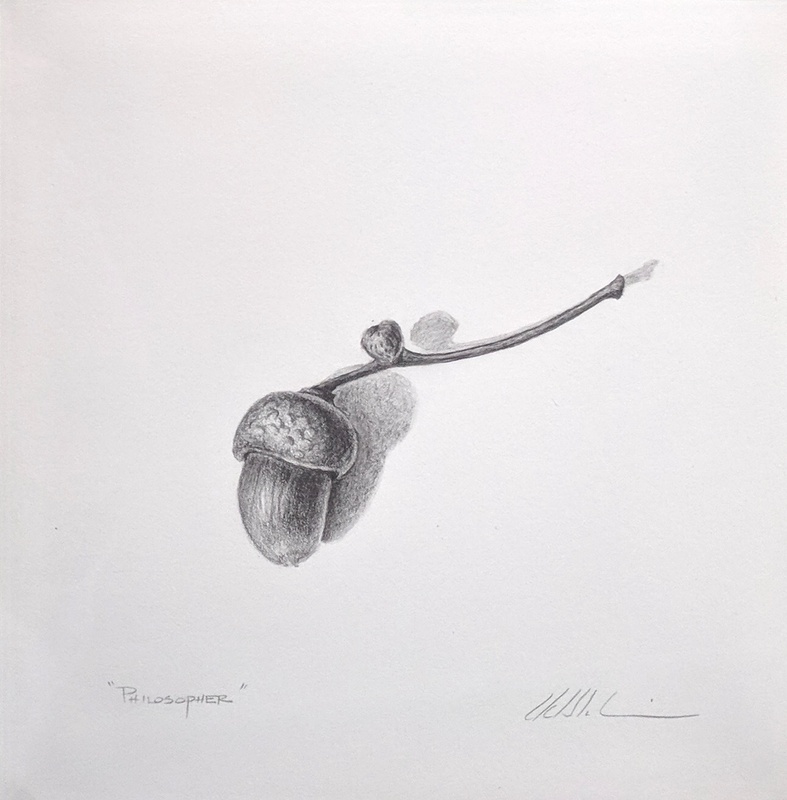 See more acorns in the Back Bay Room as part of Lucy Kalian’s solo exhibition, Witnesses. This solo show will be on view at the gallery through June 17th.